Organic white wine without sulphites. It’s a wine with pale yellow colour and warm golden hues. In the nose it’s intense, with marked fruity and floral notes. 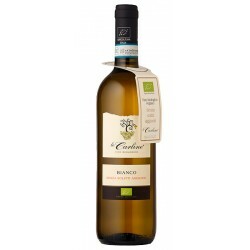 White wine with typical smooth flavour, lingering and elegant tones of almonds. The grapes are cleaned and cooled. Dynamic skin macerations exploiting the fermentation gases and traditional punching down. Conservations happen in oxygen absence. The final product is the fruit of the sample fermentation of the grape juice without addition of any additive. Pale yellow colour with warm golden hues. Intense bouquet, with marked fruity and floral notes. Typical smooth flavour, lingering with elegant tones of almonds. 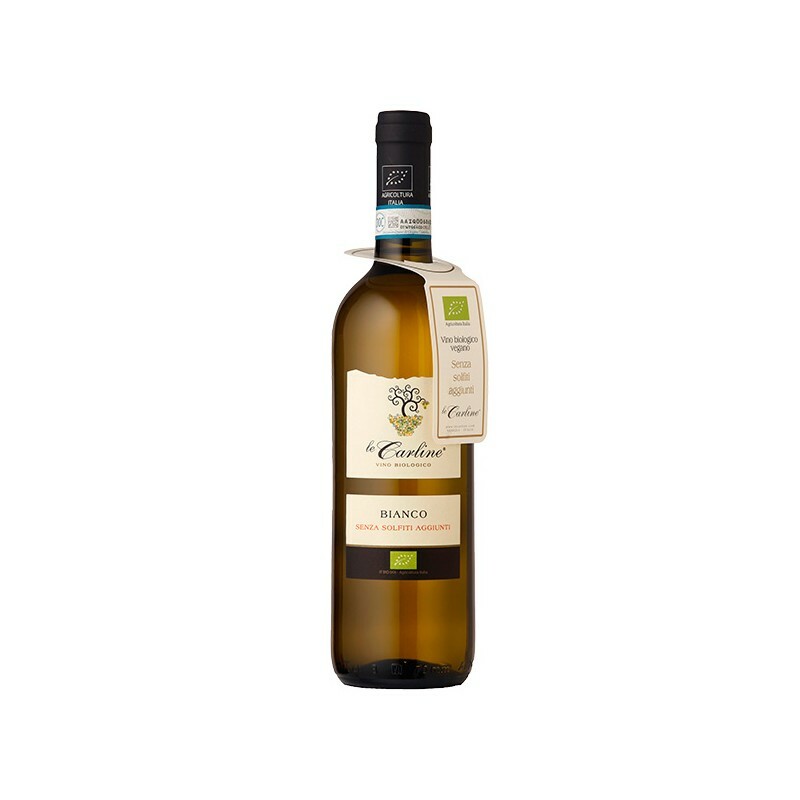 Perfect with tasty entrées, with fish and white meats. Uncork at last moment and serve at 10°C. As the product has no sulphites, we suggest to use it up by two days after uncorking.